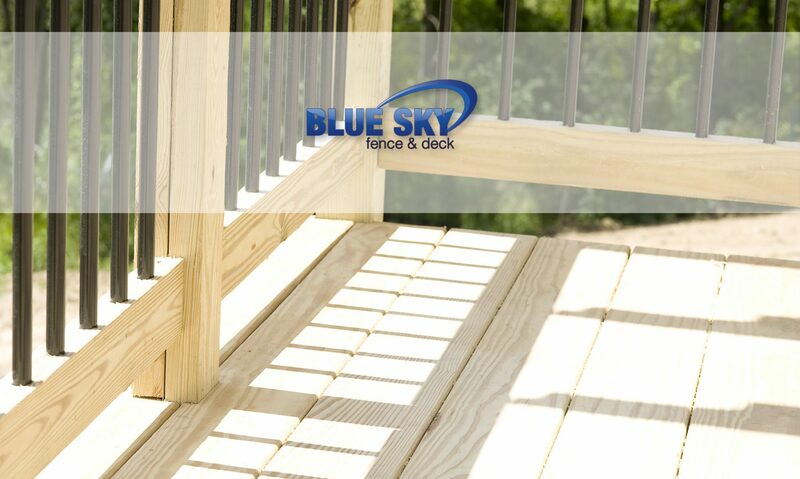 Welcome to Blue Sky Fence & Deck Inc. We offer professional installation services to both the residential and commercial markets. With locations in London and Kitchener we provide our clients the very best fence and deck products at the very best price in London and throughout Southwestern Ontario. Whether your looking to replace or build a new fence, add a beautiful custom deck, provide security for your commercial property or perimeter fencing for a real estate development we have what you need. We have been in the business for more than 20 years and look forward to serving you. Call anytime for fast friendly service. Buy with confidence, Buy from Blue Sky. Buy with confidence, buy from Blue Sky.